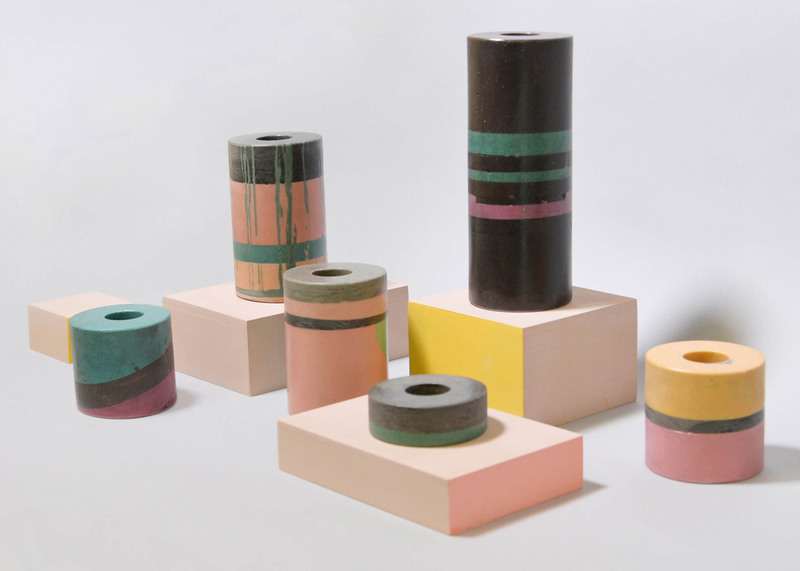 Mi Zhang is a CSM graduate who created these colourful vessels from mining dust. She went to a mining quarry in Quyang Town and collected the marble dust that would otherwise be released into the air. Therefore, hoping to improve air quality. She went forward to develop a method to mix the dust with pine resin and natural local pigments to create a tough material that could be utilised by local industries. Where the mine is, residents are often on low-income wages and receive little or no healthcare, resulting in health issues from the dust pollution. But collecting this dust allows the mining companies to gain more profit and the dust pollution to decrease. This relates to my practice as construction dust can be a big problem in many countries. When a building is demolished lots of hazardous chemicals are released into the air, putting the workers and neighbouring people at great risk of a disease called Silicosis. Another big problem in old construction is Asbestos. This material is still responsible for 5000 workers deaths a year. It can cause cancer and mesothelioma. In modern building designs architects need to consider the materials they use and wether through there life span they cause harm. It is unsustainable design to use materials harmful for future generations. I feel that Mi Zhang’s solution is a great way to decrease pollution in less well off countries. She is seeing an issue that is perhaps not the most obvious and coming up with a solution that creates these beautiful vessels that could be sold in high end, bespoke shops for well off customers. The money created could then be put back into the community to help people who have already been affected by air pollution. Alice Morby . (2016). Mi Zhang uses mining dust to create colourful vases. Available: http://www.dezeen.com/2016/06/23/mi-zhang-central-saint-martins-graduate-dust-stone-quarries-colourful-vases/. Last accessed 19th Oct.